Conveniently situated within easy access of all Heathrow Terminals and just minutes from the A4, this is the ideal hotel for a peaceful nights sleep for anyone not wanting to stray too far from the check-in desks. Boasting panoramic views over the runways, this 3-star hotel is the ideal venue for all types of traveller. Skip the departure day traffic by combining your stay with on-site hotel parking or offsite parking options. Direct access to Terminal 5 via the POD at the cost of £5.00 per person per journey, the tickets are available to buy from reception. The timings are as follows;Monday to Friday 03:00 am to 01:00 am, Saturday 03:00 am to 23:00 pm, Sunday 04:00 am to 01:00 am. Overnight parking at the hotel is chargeable at £12.00 for up to 24 hours. Enjoy a delicious 2 or 3-course menu a la carte at the Runway View Restaurant, Bar and Terrace. With amazing views of the runways at Terminal 5, it's the perfect setting to relax, catch-up and unwind. Please note this cannot be booked online and can only be organised at the hotel directly. The hotel lobby lounge is open from 06:00 am until 23:00 pm and serves light snacks along with drinks throughout the day. Choose from the cold buffet’s selection of cereals, cold cheeses and meats, as well as fresh fruits and yoghurts. Alternatively, go for the hot traditional breakfast. On check-in, disabled guests will be asked to complete a Personal Evacuation Plan Questionnaire in consultation with the Guest Relations Manager. All information provided will be treated in the strictest confidence. A letter detailing this is made available to disabled guests on arrival. The hotel has 4 x 3.6m wide designated accessible bays for hotel guests between 30-50m from the entrance. Some public areas are situated on the ground floor, including the hotel lounge, public WCs (including a designated wheelchair accessible WC), bedrooms and meeting rooms. There is no designated accessible WC beside the restaurant and bar or in the conference block. Public WCs – including a designated accessible WC are situated on the ground floor – beside reception. No bathrooms are currently designated for wheelchair using guests. There is a local bus (Bus number 423) which will take guests to and from the hotel and Terminal 5 and this service is free of charge and is located just outside the hotel. The first bus to Terminal 5 will start at 03:51 am and last bus will be at 00:37, this runs every 25 minutes throughout the day. The Heathrow Hoppa bus and taxis are available also available from £5 per person and take approximately ten minutes to get to the airport terminals. The hotel has 450 onsite car parking spaces on a first come first serve basis and this is chargeable at £12.00 per 24 hours and available only to hotel residents as part of a stay or use of hotel facilities. Drive to the hotel on the night of your stay and park with them for an overnight fee of £12.00 per car – enjoy your stay! On the day of your flight take the POD to Terminal 5 or the free public bus service to your chosen terminal, please ask at Reception for details. Stay in the right-hand lane following signs for Terminal 4. Drive to the next roundabout and take the first exit. On the next roundabout take the third exit. The Hotel will be clearly signposted on your right, just down the road. 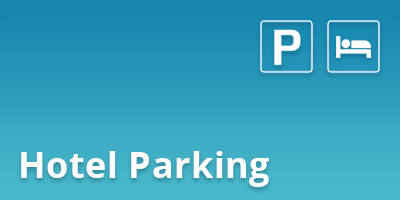 Overnight parking at the hotel is chargeable at £12.00 for up to 24 hours.